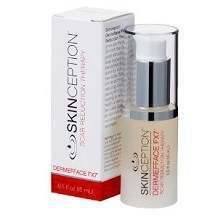 Skinception – Dermefface FX7 Scar Reduction Therapy really does a good job in listing the ingredients and their purposes for consumers This can really help a consumer determine if this is the scar treatment for them. Dermefface FX7 is applied on the skin. It is recommended to use this product twice a day for more visible results. No other usage information is available. There are no possible side effects listed for this product. There are no long-term results that are listed listed for this product, however it does claim that results can be seen within four weeks. Dermefface FX7 seems fairly priced, however the free gifts tend to be a red flag. Why all the free gifts for just using this product? It almost seems as if it is a sales ploy to encourage sales. Products should stand or fail on their effectiveness and not on how many free gifts you get with your purchase amount. This can really stand out to consumers and even deter them from purchasing a product. Dermefface FX7 has a 24/7 customer service representative and provides a 90-day money back guarantee that will refund the amount paid (minus shipping and handling) if returned during the return period. This is indeed a very good guarantee that states confidence in the product and its effectiveness. While Dermefface FX7 is a good product, it lacks immensely because of the red flag with pricing. The quantity of free gifts associated with the purchased amount of products seem to be trying to lure consumers away from the actual effectiveness of the product. Does this product work as described or not?